Client requested that the cross be carved to look like wood. 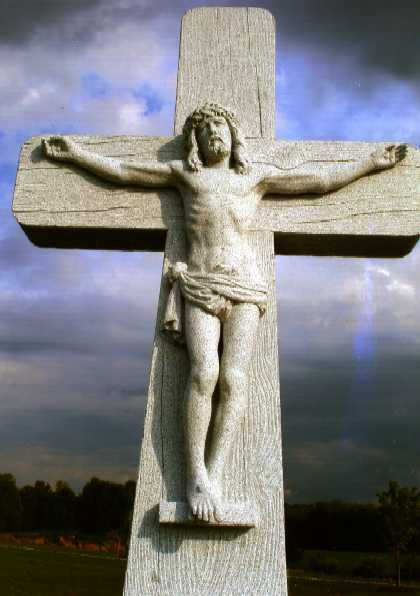 The cross and the figure are of a single piece of Barre granite. The figure is about 4’- 6” tall.